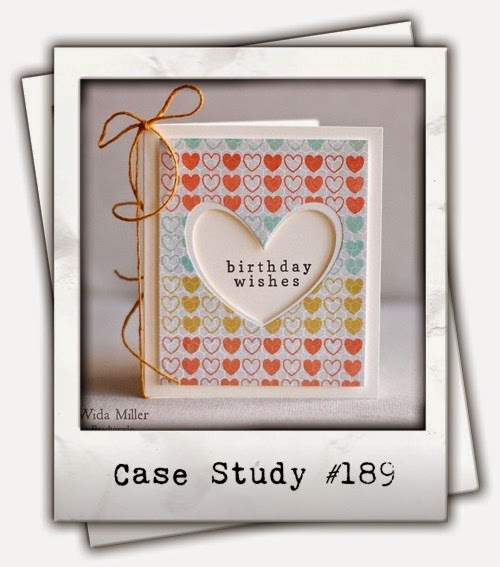 Hi, today I am sharing two cards that I made for CASEstudy challenge #189. I was SO EXCITED when I saw this weeks Muse. It's none other than the talented, sweet, funny Wida Miller. I adore this girl to pieces. Not only is she an amazing person she is an incredibly talented gal!!! I used my Silhouette and a nested heart file to cut out 3 hearts from cardstock scraps (it's a great way to use those bigger scraps) and then I cut a heart from the Simon Says Stamp woodgrain paper. I layered them all together. 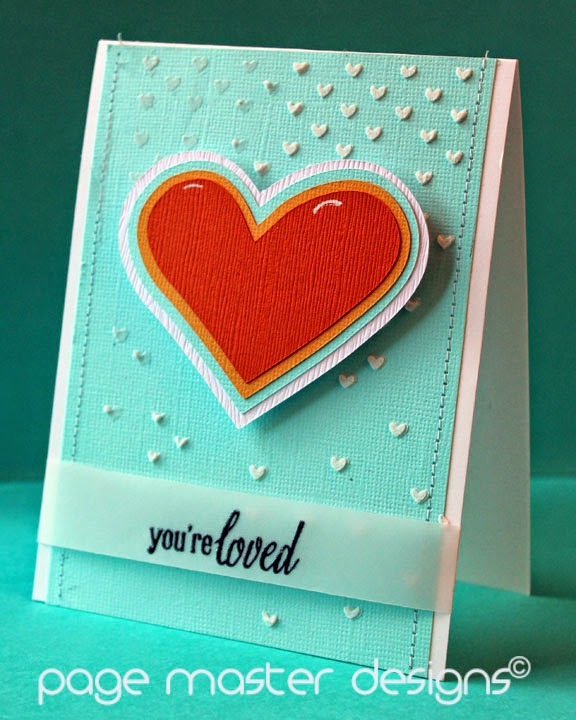 I then die cut the "you" from a Simon Says Stamp die and inked it with Heidi Swap Teal ink. I stamped the word "love" from the Simon Says Stamp "love this" set. I added some Lawn Fawn sequins to top it off. The whole card came together really quickly. 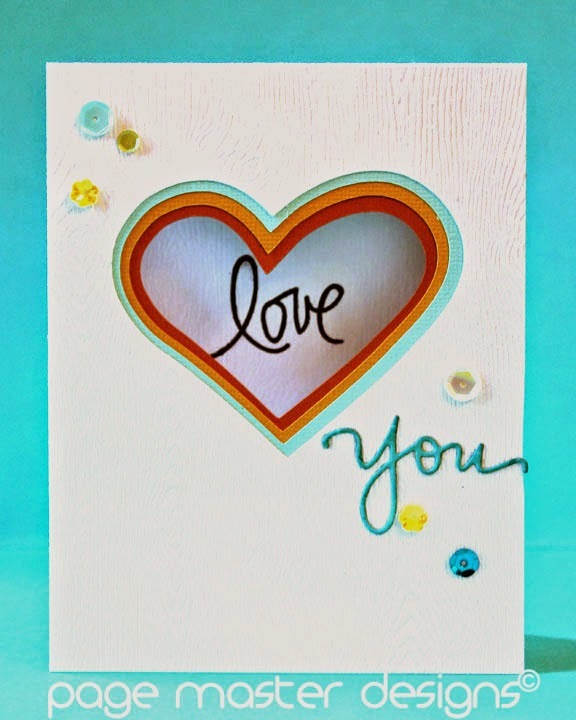 When I was done I had 4 really pretty hearts sitting on my desk so I decided to use them to make another quick card. This time I stitched some pretty light teal paper to a piece of white Neenah Cardstock, I then used the Simon Says Stamp Falling Hearts stencil and some white embossing paste to add texture. I wasn't super careful about laying it down and I love the distressed look of the left side of the card. I then layered all the hearts and pop dotted them. I stamped a Hero Arts sentiment on some vellum and heat embossed it and wrapped the vellum around the back and adhered it. Super fast and simple. Both cards are fabulous. I love the rainbow of layered die cuts on both and so smart to use the positive and negative. I love them both! this is not anonymous...I just read this comment above, it's funny. I think you are pretty funny yourself!Your aperture hearts are rainbowlicious!